Take advantage of this time limited offer that you will only find with us. 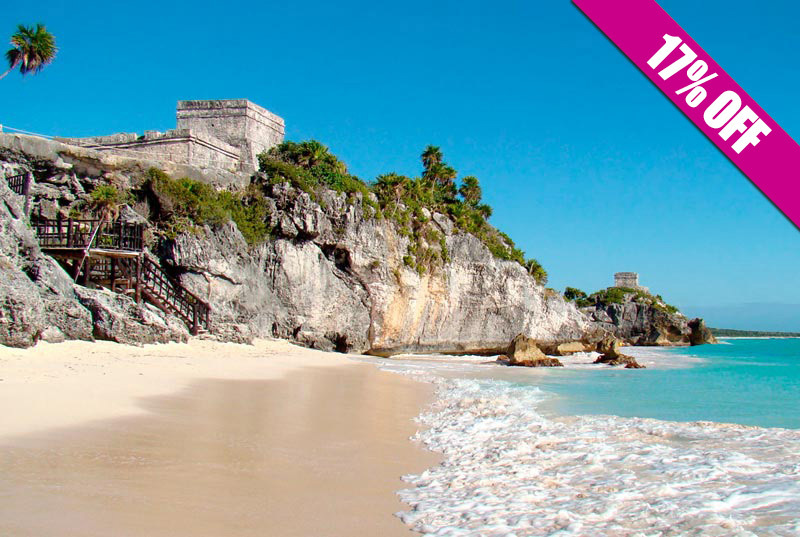 Two top tours in Cancun, just one amazing price! Enjoy both activities at once, on the same location. 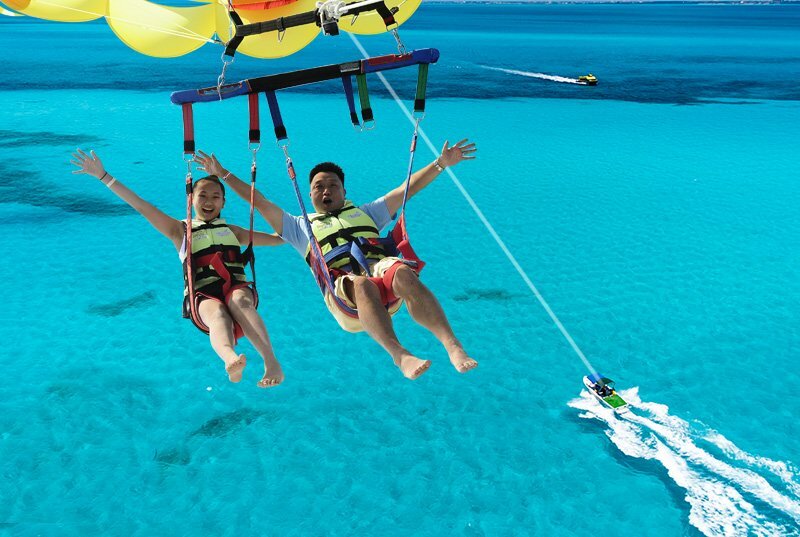 Enjoy mouth-opening views while parasailing in Cancun and speed up your fun riding a waverunner during 30 minutes at sea side. 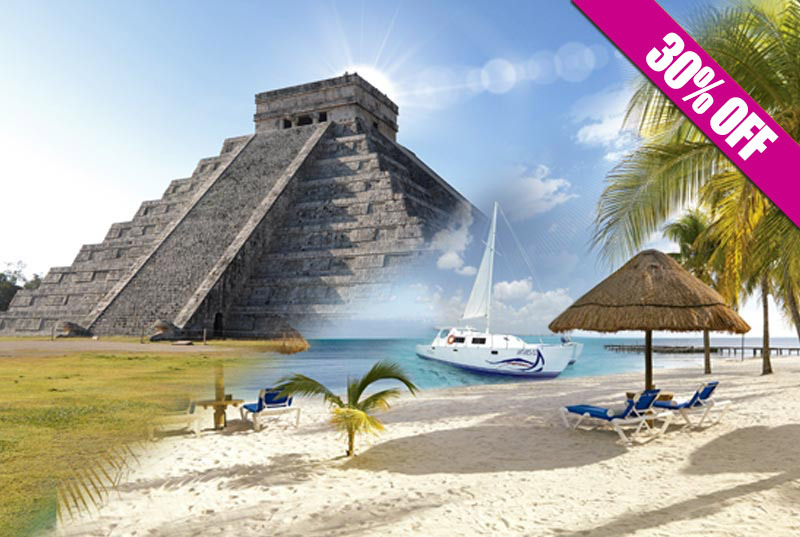 Complimentary roundtrip transportation is offered from any Cancun hotel for a more enjoyable and comfortable experience. Both tours are enjoyed seaside, on the turquoise and crystal clear water, trust us, you don't want to do it in the lagoon! No experience is needed for any of these tours. 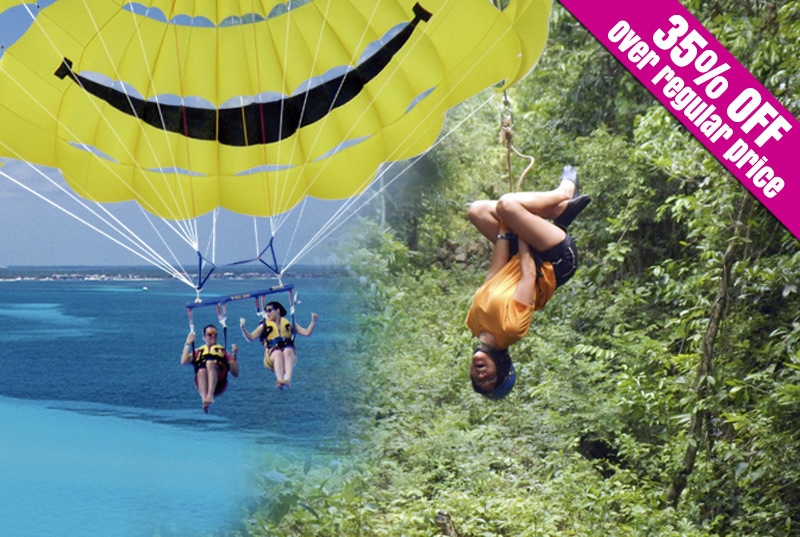 All equipment and briefing prior to each activity is offered to guarantee a safe & fun adventure. Indescribable experience to enjoy amazing panoramic views of Cancun's hotel zone, the Caribbean Sea, the Lagoon of Nichupte and Isla Mujeres. 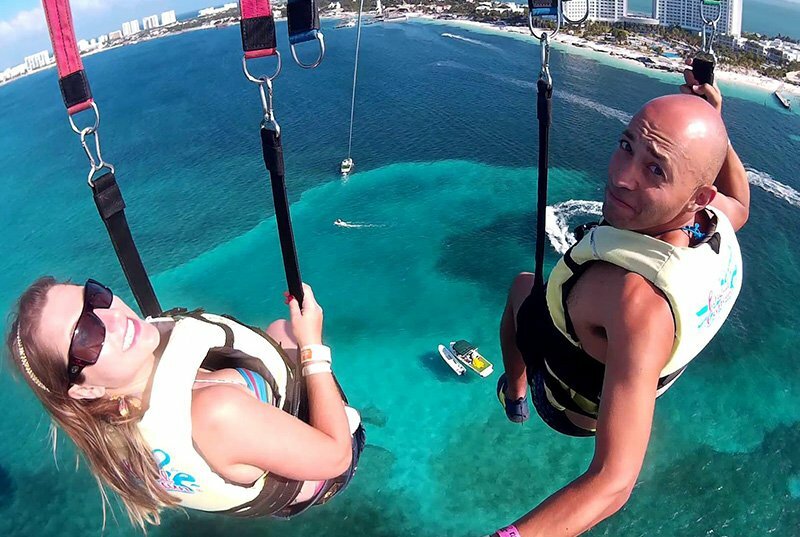 Feel yourself free at 240 ft high and have an amazing time flying with your favorite person. The boat runs 3 miles once you are on the air (approx. 10-12 mins. flying). Take off and land directly from the boat. We are sure that you will remain delighted. 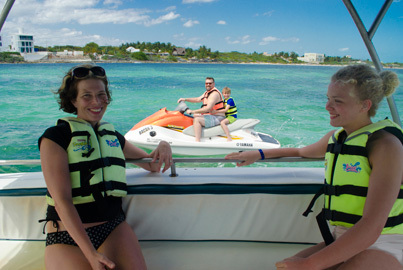 After your parasailing adventure, take a powerful waverunner and speed it up! Run our brand new wave runners for 30 minutes. 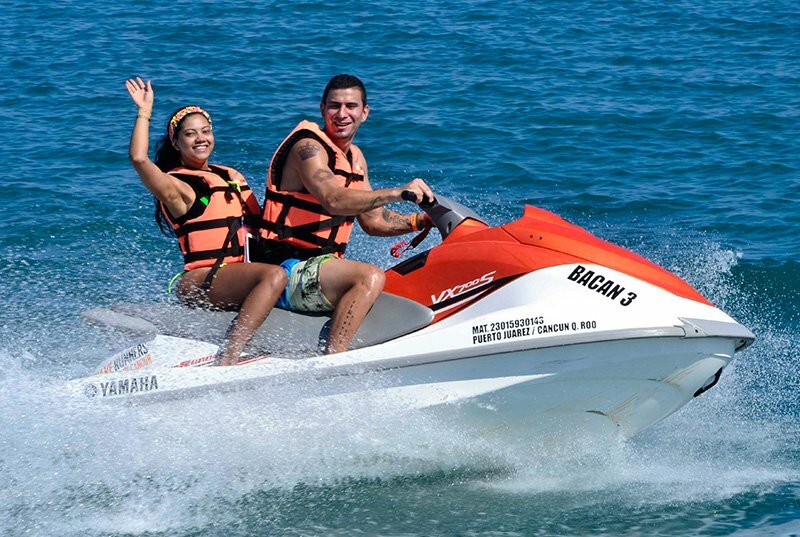 Live sensational moments riding waves, making turns and racing across Cancun beautiful water. 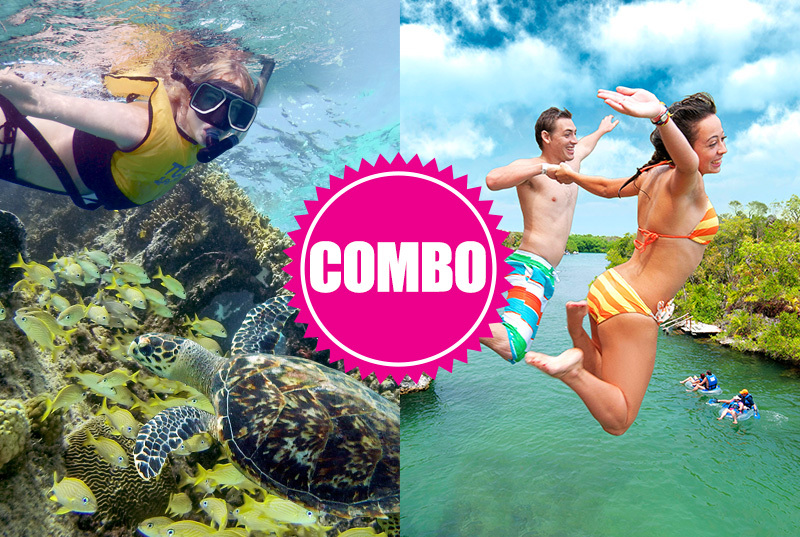 Enjoy the turquoise water of the Caribbean Sea (if lucky, have encounters with turtles during the ride). 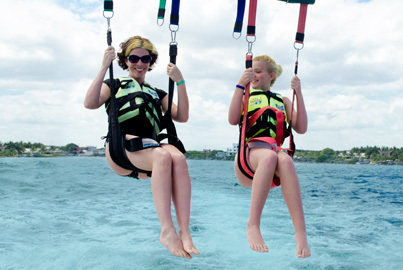 This Cancun waverunner combination and parasailing package fits perfect in anyone's itinerary, since no time is wasted. 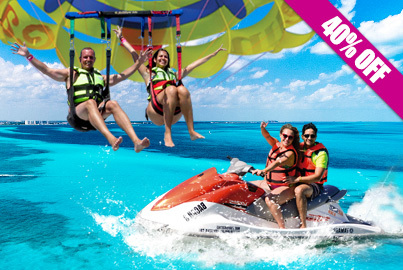 Come with us, conquer Cancun by sea and air, and return happy to your resort to continue enjoying your vacations. Schedules: 9:00 am, 12:00 pm and 2:30 pm. The exact pick up time is set according to your hotel's location. Exact pick up time is sent on confirmation email, after completing your booking.